The Secret Diary of Steve Jobs : Duuuude, fifteen billion. Fifteen BILLION, duuuuude. Duuuude, fifteen billion. Fifteen BILLION, duuuuude. Man oh man. Huge party outside Facebook last night. The kids are rocking like it’s 1999. 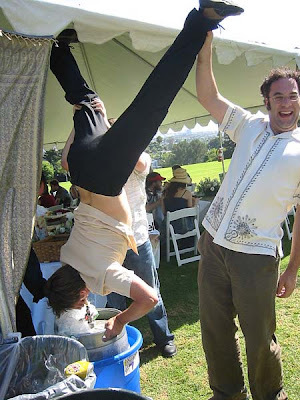 Check out the photo of Faceberg himself doing a kegstand while Pete Simeoni, his VP of legal affairs, lends a helping hand. Facebots in background were chanting “Fifteen Billion, Fifteen Billion.” Later they hoisted Faceberg on their shoulders and carried him around the parking lot. Then stripped him naked and hosed him down with Cristal and doing white-boy frat-boy rapper version of 50 Cent’s “I Get Money.” Hilarious! To the right is a photo of Jorge Chingado, VP of zombie bite application business development, at just after ten o’clock last night. 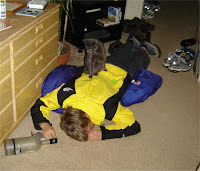 Much love to dear reader Matt Minge for sending in the pix. If anyone else has shots from the Facebook kegger, send them along.